ChatNOW is online dating app like ChatRoulette. This helps you to chat with strangers worldwide. ChatNOW is perfect anonymous chatting. Make friends worldwide with ChatNOW! You can meet new friends right now! Can set gender, age of partner you want. Will connect by same locale. If you want another language user, change locale of the phone. 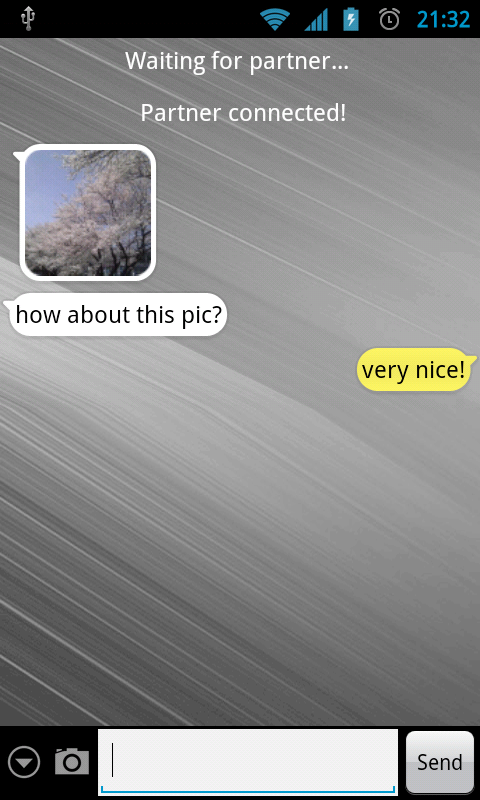 Can share photo by camera, gallery. Bad manners(ie, sender of dirty or sexual picture) might be blocked.